Roland Boer | Amazing Lookalike! On the left is Roland Boer, Professor of Liberal Arts at Renmin University of China (Beijing). 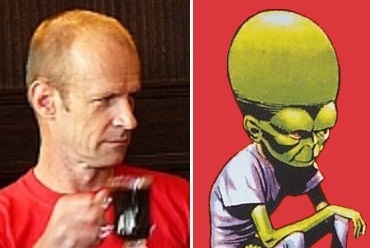 On the right is The Mekon, the arch-enemy of sci-fi comic hero Dan Dare.